Trent Reznor's streaming service with Dr. Dre's Beats Electronics and music industry bigwig Jimmy Iovine has been publicly discussed for around a year now, and while the planned summer arrival never happened, it looks as if the so-called Beats Music will publicly launch in early 2014. In a blog post published today (December 4), project CEO Ian Rodgers promised that Beats Music — which was originally going to be called Daisy — will launch in late January. Currently, the service is in an "internal, private beta with people who know and love music." Additionally, the makers have given "a few artists and other influencers" access to the program and are soliciting their feedback in order to make improvements. Rodgers specified that the launch will be in the U.S., and there's no word as to when or if it will come to Canada. 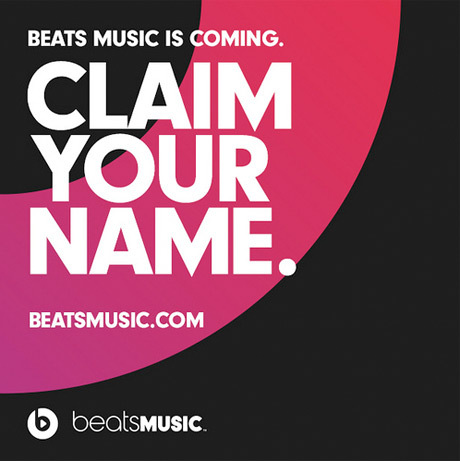 As of today, those interested in using the service can register a username at BeatsMusic.com. When it officially launches, Beats Music aims to rival other streaming services like Spotify and Rdio. Given that some notable musicians are behind Beats, perhaps it will be able to arrange a system of royalties that doesn't leave artists dissatisfied. Previous reports have indicated that Beats intends to introduce a human touch intro online streaming, acting as a music discovery platform and offering curated playlists.